This pattern is designed to fit a 6 to 12 month old baby. The beautiful stitch pattern is perfect for any baby girl. Crochet it up in the colors pictured or choose vibrant summer colors. The pattern available in both US and UK crochet terms. 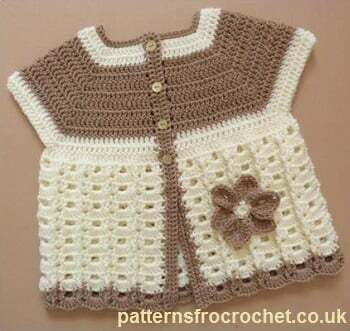 You will need a baby worsted yarn, a 3.50mm crochet hook and 4 buttons in order to complete this project.